Retaining customers is good for business … and your bottom dollar. The cost of attracting a new customer can be six to seven times more costly than keeping a current one, according to research conducted by Flowtown, a social media marketing platform. This cost is a leading reason why building loyalty through an excellence in service and focus on customers’ needs can determine a company’s longevity. 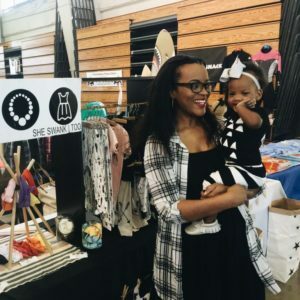 Lakesha Cole, owner of She Swank Too – an online boutique operated from Okinawa, Japan – says word-of-mouth referrals are the lifeline of her success. She places high value on building strong relationships with her clientele, who often become like family. The idea behind She Swank first came to Cole several years ago while she was in the midst of many of the challenges that often plague career-minded military spouses. Cole’s philosophy of making her customers the centerpiece of her company has benefitted her as satisfied shoppers refer their friends. “To date, I’ve spent less than $1,000 on advertising, grossing over $100k in sales,” she said. DO treat every customer as your most important one. You never know whom they may know or to whom they will refer you. DO respond to emails promptly. When a customer emails you, acknowledge the receipt of the email as quickly as possible, even if you do not have the desired answer. DON’T break your promises. Customers can be very unforgiving. Don’t make a promise you can’t keep. DON’T forget to say “thank you.” Make it your business to say “thank you” at every opportunity. Your customers will feel like you appreciate their business. DON’T treat customers as transactions. No one likes only to be sold to. Cole is preparing for another common hurdle of operating a business while being married to someone on active duty: Permanent Change of Station orders. Her family will be transitioning from Japan to North Carolina in the coming months. She is using continuous communication tools to keep her customers up-to-date and to ease the move of a full family and a flourishing boutique. For more information on Lakesha Cole and She Swank, visit her website at http://www.sheswank.com/.